Your fiancé will be more than happy to help with this great trick. The joy of planning a wedding is something that a girl dreams about as soon as they are big enough to make toilet paper veils. But I’d challenge any guy to raise their hand and admit they’ve been dreaming about their wedding day! I’m pretty sure a groom does not spend his days dreaming about the color of his tuxedo, or whether he’ll wear a tie or bow tie. Even when guys do finally take the plunge, offering up a ring to the one they love, they are rarely the one stressing about wedding details. Menu selection, venue, color schemes, decorations, music, a cake designer, a wedding planner, showers, or any of the other details that go into planning that “dream wedding – that’s firmly in the hands of the bride to be. 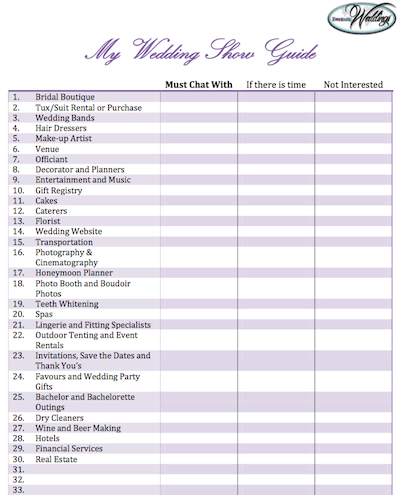 This planning burden, coupled with “whatever you want dear” responses from the groom can add to a bride’s stress level. Many brides get annoyed and frustrated trying to get their fiancé involved in the wedding plans, without feeling like they are pulling teeth. But stress no more. We have come up with a great solution that will help you get your future husband involved with the wedding; Eventastic Weddings universal gift registry. Typically when you go to register for wedding gifts you are stuck at those typical big box retailers such as The Bay and Home outfitters for the typical wedding gifts like kitchen appliances and bedding. Most grooms would rather have their back teeth removed than head off on a gift shopping excursion and meeting with a bridal registry consultant. The Eventastic Weddings universal gift registry is something completely different. It allows you and your groom to register for any item, from any store anywhere, by using your smart phone to swipe a product’s bar code. If shopping on line, you can use our handy tool bar button to add items to your registry list from various web sites. This allows you to add virtually any gift you can imagine to your registry. So if your guy wants to add a new flat screen TV, accessories for his Harley, or a new snowblower, he can; simply with a click from his smartphone. Another great feature that your future husband will love is Eventastic Weddings cash gift registry. They can allocate a dollar amount to specific goals and items that they are saving for, e.g new golf clubs, fishing trip, theatre room renovations, anything they truly want and collect the funds directly from your wedding website! We’re pretty sure we’ve come up with a sure fire way to finally get your future husband involved at last. What do you think? It’s free to sign up! Go to www.eventasticweddings.com and begin registering your gifts today.